Are people innately selfish or not? On its face, this question appears easy and straigh1tforward. “Of course individuals act selfishly!” One may protest. But is that really the whole story? For decades, and even arguably centuries, an interdisciplinary approach has been taken to answer this seemingly easy question. Philosophers, psychologists, biologists, and neuroscientists have all weighed in, and we are beginning to understand the basis for egoism, altruism, and everything in between. Psychological Egoism is the idea that “every human action is motivated by self-interest.” Altruism, on the other hand, remains the idea that unselfish action and thought is the basis of human nature. Both of these positions remain at odds with one another. Moreover, some extreme positions maintain that pure altruism does not really exist. James Rachels, who writes on such matters, illustrates the point by highlighting the altruistic work of Mother Theresa, for instance. Rachels points out that Mother Theresa was driven to do good works, in part, by her motivation to go to heaven. So, this has led some to question whether her altruism remained strictly pure. It’s true. Psychological Egotism tends to get more attention. Egoistic acts are, generally speaking, highlighted more often in the media, and popular books and movies tend to emphasize (and sometimes celebrate as in the case of celebrities) egoism. Long before psychology became a science, philosophers were already shaping the debate by pointing out the selfish nature of men and women. Thomas Hobbes, who lived until the end of the 17th century in Britain, famously said that, in their pure natural state, humans lead a life that is “solitary, poor, nasty, brutish, and short.” Psychological Egoism, it seems, has a deep philosophic tradition in the West. Rachels points out that two main arguments have been put forth in favor of egotism. First, he writes, that “we always do what we most want to do.” The author doesn’t wholly accept this argument, but this position is used by proponents of Psychological Egotism. The second argument for Psychological Egoism is that, according to Rachels, “we do what makes us feel good.” Again, although he rebutts these potions, these beliefs are still held by large numbers of the populace. Psychological Egotism, it appears, has a grip on the minds of many . . . or does it? The Surprising Return of Altruism? In more recent years, as noted at the outset of this article, recent research in converging areas of inquiry such as psychology and neuroscience has been revealing some interesting insights. Let it be said that, yes . . . individuals can and do act selfishly at times, but this is not the whole story. Some evolutionary psychologists, for example, have pointed out how “reciprocal altruism”—or, the idea that “you scratch my back and I scratch yours”—has deep roots in our evolutionary history and helps to form the basis of many societal contacts. In addition, although it remains outside the scope of this article to probe the details of altruism and brain chemistry, it has been demonstrated through brain scan technology that when we help others or act unselfishly, the reward centers of our brains are engaged. 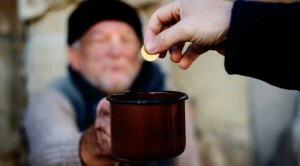 Altruism, then, appears to have a biological basis, along with an evolutionary basis. With all the current available evidence, it may be reasonable to say that we act both selfishly and altruistically depending on the situation. Individual variants, too, ought to be taken into consideration. In other words, perhaps it remains fair to say that not only individuals sometimes act both egoistically and altruistically at different times but also different individuals may exert different levels of egoistic and altruistic behavior compared to their peers as well. Finally, what remains clear for sure is that the tired, Hobbesian outlook that people are extremely selfish and will act so given the chance is, it seems, not entirely correct. What is correct is that humans do appear to possess both selfish and non-selfish traits, and in order to life in an organized society, it remains important to keep the reciprocal altruism of the evolutionary psychologists in mind. Rachels, James (2003). The Elements of Moral Philosophy, McGraw Hill, New York.